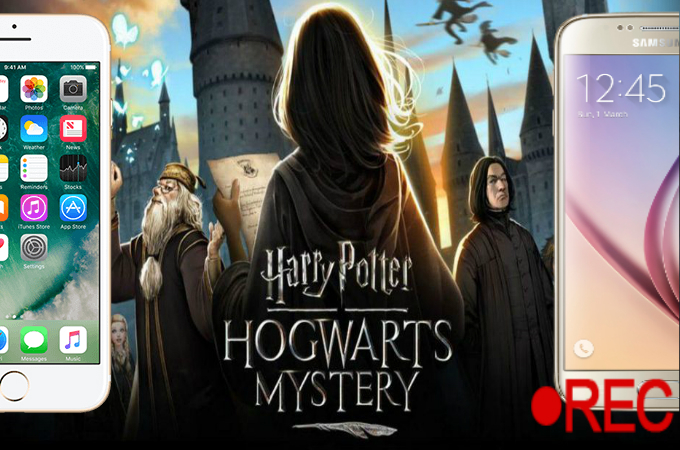 If you are a Harry Potter fanatic, you might get interested in the new game that has just landed on the app store for mobiles, called Harry Potter: Hogwarts Mystery. This is a mobile game that enables you to create and customize your own character in the world of wizards, select your preferred Hogwarts house, and learn how to create spells and potions. Aside from that, you’ll be able to meet new friends and some familiar faces like Nymphadora Tonks and Bill Weasley. While playing this great game, you have to bond with your housemates to compete and win the House Cup and experience other thrilling adventures. On the other hand, you would not want to miss the chance to record the actions you’ve made while you are playing the game and share it with your friends. That’s why we recommend screen recording tools below to record Harry Potter: Hogwarts Mystery so you can always have the best moments covered. 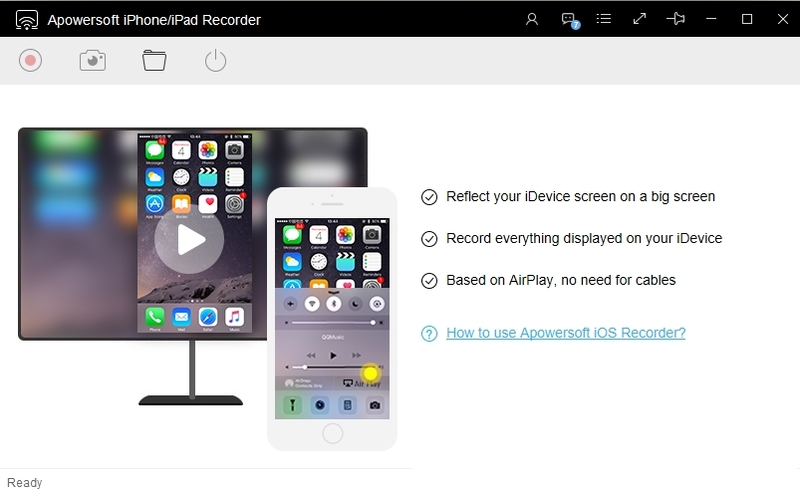 If you are using an iOS device with iOS 11, then ApowerREC might be the best solution that you can select to record your iPhone’s screen. ApoweREC is a free application that can be used to record the screen of your iOS 11 and later systems. This tool has the ability to stream videos and record web pages, videos, and games with audio. Aside from that, it allows you to annotate the screen while you are recording in real-time. Also, you’ll enjoy watching and using this application since it lets you record your device’s screen without any limitation or the addition of any watermark onto it. Follow the simple steps below on how to record Harry Potter: Hogwarts Mystery on your iOS 11. Install the application on your device from the Apps Store. After that, run the tool. Tap the “Recorder” button on the upper left of the application. 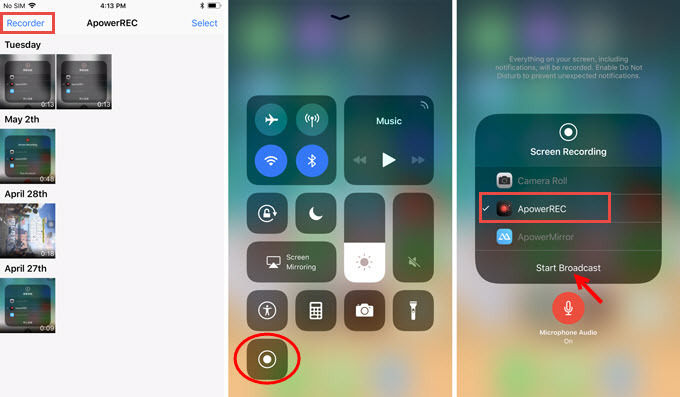 If you have not added the screen recording feature on your Control Center, simply go to the “Settings” of your device and afterwards go to “Control Center” > “Customize Controls” and tap “Screen Recorder” to add it. After that, swipe up on the screen of your device in order to show the Control Center. Firmly press the “Recording” icon so that after it you can select the emerging “ApowerREC”. Next, hit the “Start Recording” button to begin the screen recording. To record sound, please turn the microphone on. Open the game Harry Potter: Hogwarts Mystery, and start playing. Once you are done, go back to the Control Center and hit the recording button to end it, or tap the red recording bar on the top of your iPhone screen and hit “OK” to stop the recording. An alternative screen recorder for all iOS devices on the market that can play this wonderful game is Apowersoft iPhone/iPad Screen Recorder. This program allows you to record and stream your iPhone and iPad on your computer with ease. By simply using this screen recorder, you will be able to mirror your device on a larger screen that gives you an amazing visual experience. Moreover, it enables you to share your videos with your friends on popular social media sites such as YouTube, Dropbox, Facebook etc. You can find below the detailed steps on how this program works. Simply download and install the tool on your computer. After the installation, connect your iPhone/iPad and your computer to the same WiFi network, and then launch the tool. Swipe up the screen of your device to open the Control Center. Tap the “Screen Mirroring” button and search for devices. On the device list, choose the name of your computer, then your iPhone/iPad screen will be mirrored to your PC immediately. When the screen of your device is mirrored, open the game. Once you are ready with the prior step, click on the “Record” button on the upper part of the tool to start the recording. Then start playing the game, your gameplay will be captured. If you’re done, simply click on the “Stop” button to end the recording and afterwards it will be saved on your computer instantly. 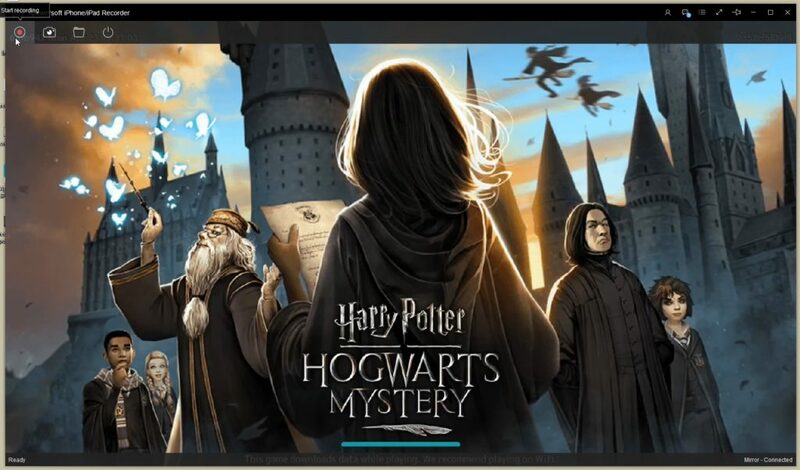 If you are looking for an Android screen recorder for Harry Potter: Hogwarts Mystery, you can use Apowersoft Screen Recorder. This is a screen recorder that is absolutely free for Android devices. With the help of this application, you’ll never get in trouble when it comes to recording your gameplay, promotional videos, tutorials and any other sort of content. Aside from recording the screen of your device, it allows users to use the front camera to record. Here are the steps to follow in order to record Harry Potter: Hogwarts Mystery on Android. 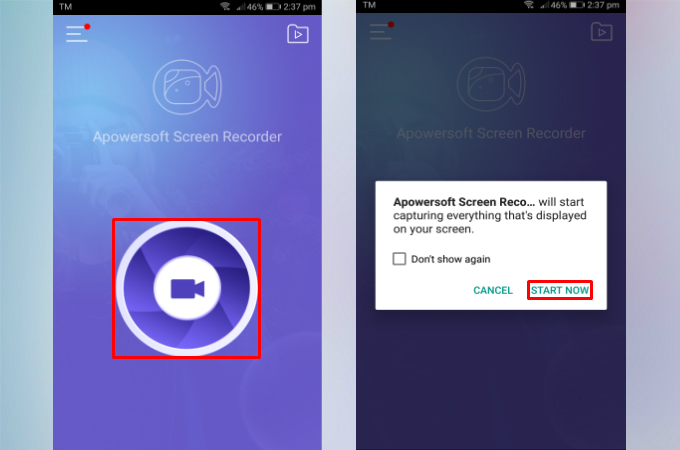 On your Android device, go to the Google Play Store and search for the Apowersoft Screen Recorder. Tap the install button to download the tool. After that, open the application. Tap the video camera icon on the middle of the app interface to start recording. At this point, tap the “Start Now” button when a window pops up by asking whether you want to allow it to capture your screen. Open the game and start playing, and your gameplay will be recorded. Once you are done, go to the app and hit the “Stop” button to end the recording. A lot of screen recorders for iOS and Android are available on the market today. Yet, the tools recommended for you are practical and easy to use. They can be a big help for you to record Harry Potter: Hogwarts Mystery gameplay easily. Also, they all provide different but unique screen recording functions and other features that you will surely enjoy while utilizing it.